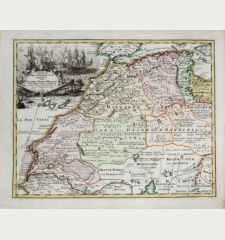 One of the earliest obtainable printed maps of North Africa. 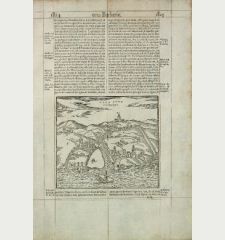 From the first Ulm edition of 1482. 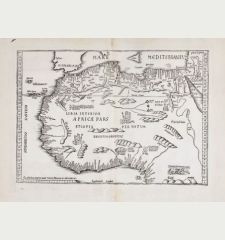 Untitled woodcut map, showing present-day Libya, Tunisia, Sardinia and Sicily based upon Ptolemy. 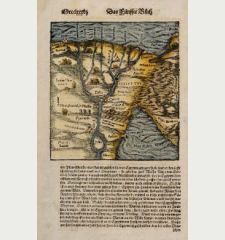 The third printed map of the region ever published and one of the earliest map ever printed. 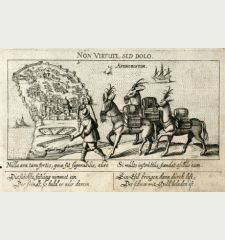 From the first atlas printed outside of Italy. 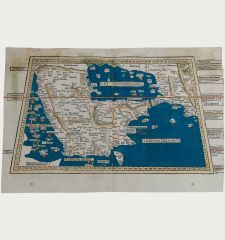 Compared to the second edition of 1486, this first edition has no title above the map and the Mediterranean is original coloured in blue. 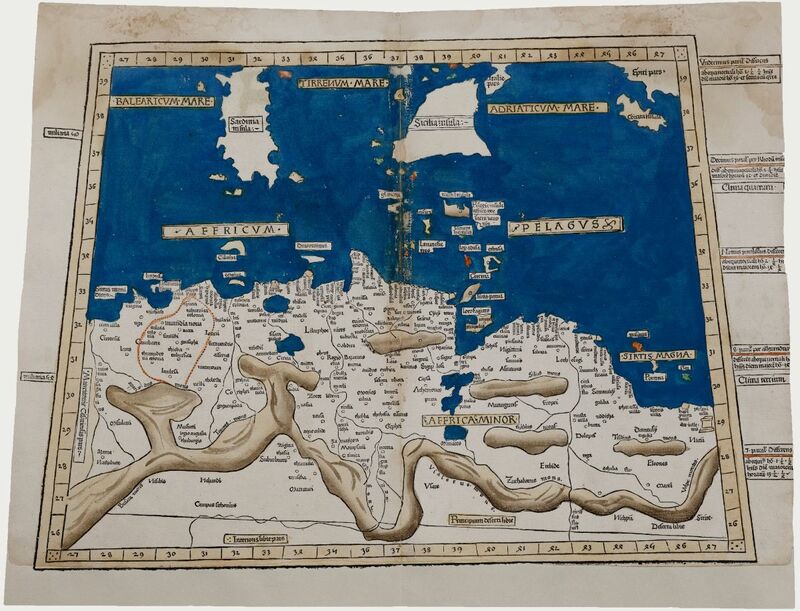 The vivid blues are the result of adding crushed lapis lazuli to the pigment and can be found on maps of the 1482 edition only. 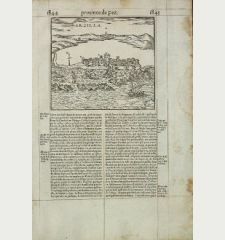 With Latin text to verso, a large coloured capital and a coloured woodcut border. The Antiqua typeface is the largest used in a book printed in the 15th century. Upper corners skilfully repaired without affecting the printed area. Waterstained in upper margin. Trimmed on the right side just into the letter press. Lower margin partly trimmed within the outer woodcut border, restored and redrawn. Stunning, original 15th century colour. 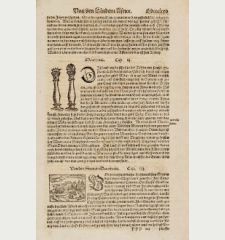 Lienhart Holle, also mentioned under the name Leonhart Holl, is considered as the third book printer of the city of Ulm. It is very little known about his life. At least is it verified that he was active in Ulm from 1478 onward. 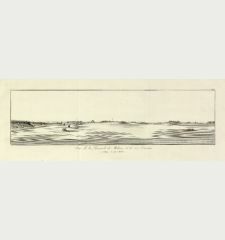 At the beginning of his activity as a printer he published playing cards. 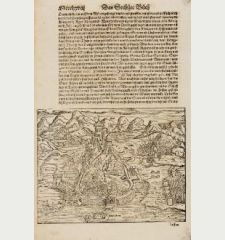 Between 1482 and 1484 several outstanding works of early book printing have been produced in his printing shop. 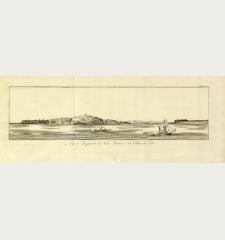 His masterpiece is considered the first atlas printed north of the Alps. 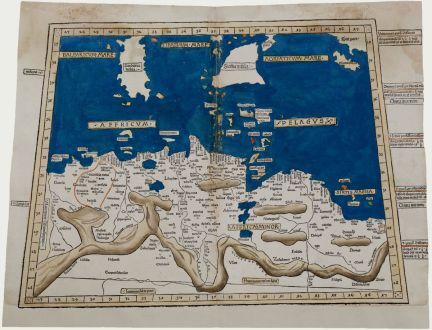 The outstanding features of this atlas is extraordinary: The largest Antiqua typeface of the incunabula time, paper of unusual size and strength from Milan and 27 woodcut maps with stunning color. 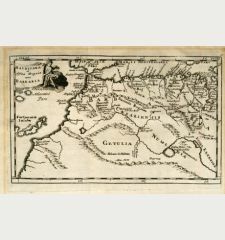 It is the first atlas printed with accompanying text on the verso of the maps and the first atlas with woodcut maps in general. The blue pigment used by Holle for the colouration of the seas is most probably lapis lazuli, the ultramarine of the Middle Ages and the Renaissance. The price per ounce for the rich blue pigment during the Renaissance correlated with that of gold and was extracted in western Afghanistan. 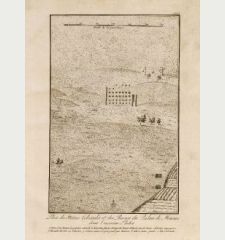 The exorbitant cost of the production of the atlas led to the bankruptcy of his printing operation. 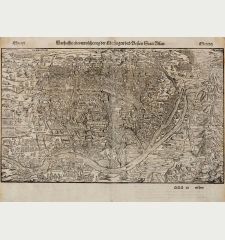 The woodblocks of the maps, the remaining paper and the types passed to Johann Reger, who reissued the atlas in 1486 in a second edition. The colouring of the seas was done with a cheaper brown pigment in the 1486 edition of Reger. 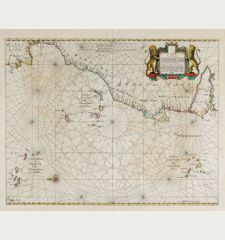 Also some of the maps of the second edition can be identified by an additional title on top. Lienhart Holle died after the year 1492. 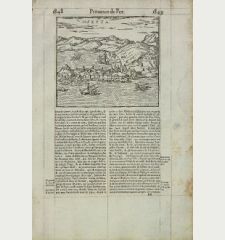 Lienhart Holle: [Secunda Affrice tabula continet Affricam & insulae que circa ipsam sunt Parallel].